Similar in construction to Ben Hecks PS3 laptop mod this PS3 slim laptop mod features a 250Gb hard drive and a 19 inch monitor with a resolution of 1440 x 900. It also has a HDMI : DVI digital connection and is fitted with 2W stereo speakers and amp and boxed up in a aluminium and polystyrene case. Check out the video after the jump to see the mod in action. 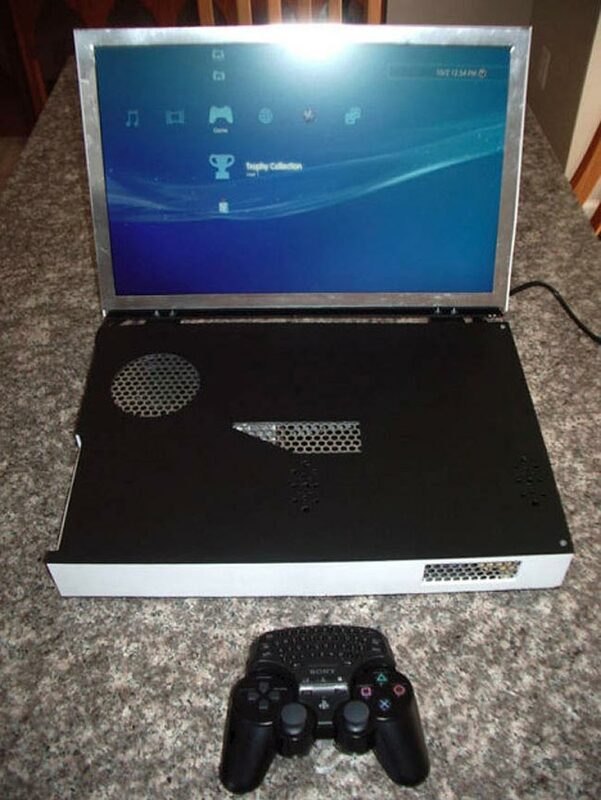 If your intested and in the market for a PS3 slim laptop mod this one is available to buy on eBay with a starting bid of $1099, or a Buy-It-Now price of $1,499.